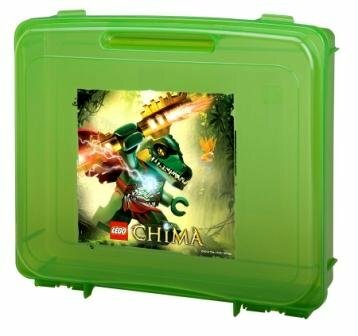 This portable project case features in-molded graphics of LEGO® Legends of Chima® and includes one 10"x 10"building base plate. Each case has snap-tight closures to ensure contents don't spill and a built-in handle to make carrying and transporting easier. 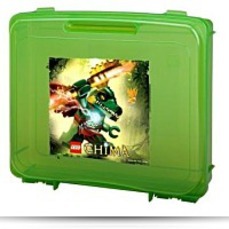 Storing and organizing your LEGO® s by color, set or size has never been so easy! Cases are the perfect"grab and go"storage answer and support preserve instruction manuals and boxes for smaller-sized sets. LEGO, the LEGO logo, DUPLO, LEGENDS OF CHIMA, MINDSTORMS, HEROICA and also the Minifigure are trademarks and/or copyrights of the LEGO Group. © 2013 The LEGO Group.